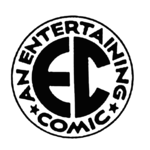 Anyone who has read any of my posts will know I'm a huge EC fan so I thought it might be fun to not only discuss the comics, but the TV show as well. It was one of my favorite shows growing up and I still watch it on DVD regularly. What are some of everyone's favorite episodes/adaptations?